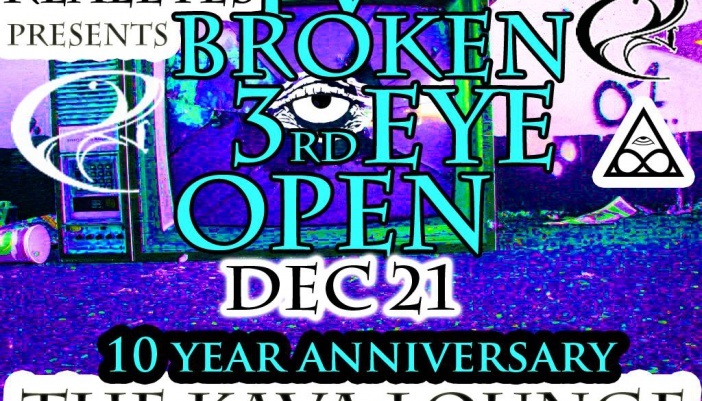 Realeyes Presents a night of TV Broken 3rd Eye Open. Lets celebrate the sounds of psychedelic funk + rock n roll + dark techno!!!! YOU know what’s up SD, lets celebrate the underground! Come enjoy yourself responsibly and *tip your bartenders*! This is a bar that serves both alcoholic beverages as well as elixirs, teas, kombucha, and other organic juices on the menu. Come out to enjoy the commUNITY and the hospitality the Kava lounge has to offer. Serenity 2015’s Pre Lineup Just Released Tv Broken Eye Open Blows Serenity Gathering 2015 out of the water! !